My Instagram feed has always been full of photos and videos of food, people in pretty outfits and cute animals. More recently though… I’m seeing ads on my feed! 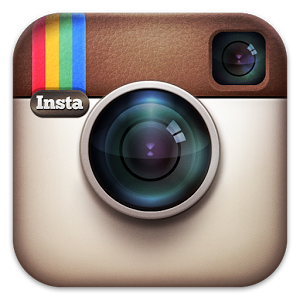 Instagram has opened their advertising to businesses of all sizes since September 30. Before, only big companies like Disney, Activision and Banana Republic could advertise on Instagram and not all users had ads on their feed. Now, like it or not, everyone can expect ads including video ads to be seamlessly integrated in their Instagram feed. As a credit to Instagram, three weeks into the change, I’ve seen an array of well-targeted ads on my feed. They’re pretty much what I like to see, they look exactly like my friends’ posts except for the “Sponsored” text at the upper right and a call-to-action on the lower right. Some of the ads make me stop and stare since it has almost no difference with organic posts. I haven’t seen enough video ads yet though, which is a shame, because Instagram auto-plays videos and they are definitely more eye-catching than photos. Just like Facebook, I’m sure video ads will take off soon too! Are you interested in trying it for your company? You can create the ads through the Power Editor on Facebook. If you have questions on creating video ads on Instagram, let us know! ©1996-2019 New Image Media, Inc. - A Video Production Company located in Cleveland, Ohio. Offering a full line of high quality low cost production services in the fastest growing segment of the Internet, web video. I want more in my creative toolbox!